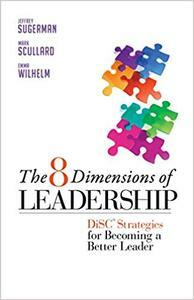 Jeffrey Sugerman, Mark Scullard, Emma Wilhelm, "The 8 Dimensions of Leadership: DiSC Strategies for Becoming a Better Leader"
Don’t Be a One-Dimensional Leader! Using the third-generation DiSC online personality assessment—one of the most scientifically validated tools available—The 8 Dimensions of Leadership helps you identify your primary leadership dimension. Whether you are a Pioneering, Energizing, Affirming, Inclusive, Humble, Deliberate, Resolute, or Commanding leader, the authors help you understand the psychological drivers, motivations, and “blind spots” characteristic of your style. 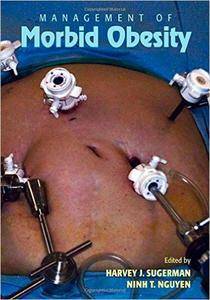 Edited by world-renowned bariatric surgeons, this comprehensive reference provides a clear overview of multidisciplinary approaches to bariatric surgery and clearly details the techniques and outcomes of commonly performed bariatric operations, potential complications associated with bariatric surgery, and practices in long-term follow-up and nutritional management.